It was a milestone between both countries today, as the Australian-German advisory group co-chaired by Finance Minister Mathias Cormann and German Minister of State Dr Maria Böhmer presented their report and recommendations to the Prime Minister and Chancellor Merkel. 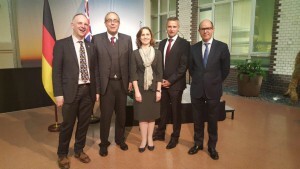 The report was created to identify strategic opportunities and cooperations which will strengthen the relationship between both countries and included a submission from the GABC board. 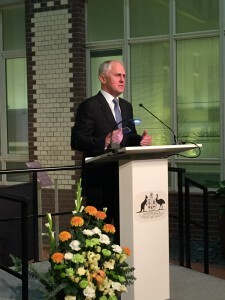 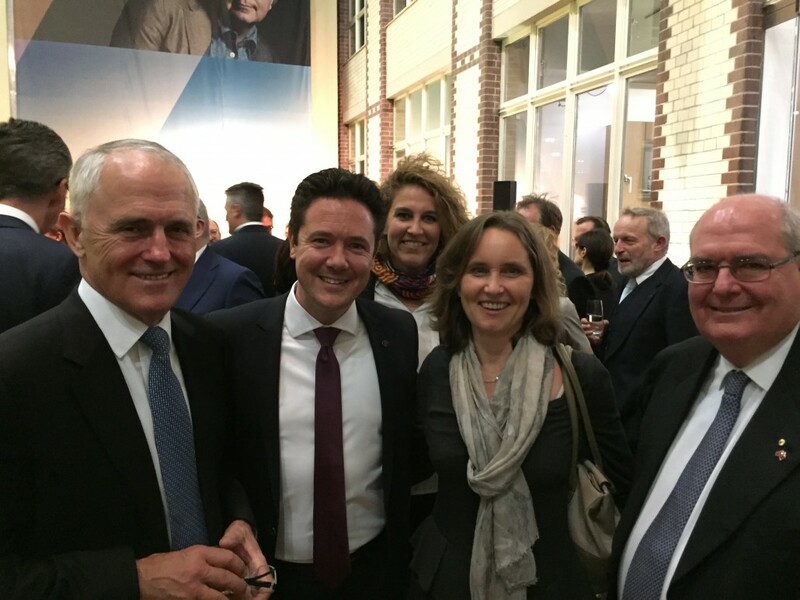 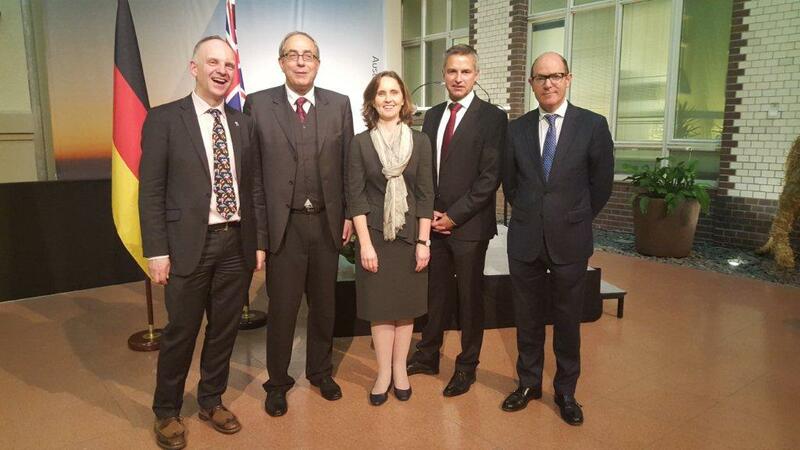 Our board members Robert Harrison, Eberhard Goihl, Sabine Pittrof, Stefan Augustin and David Campbell were present at the reception held in honour of the Prime Minister The Hon Malcolm Tunbull at the Australian Embassy in Berlin following the release of the report.